A top burger chain promises that its new burger will "give you nightmares". 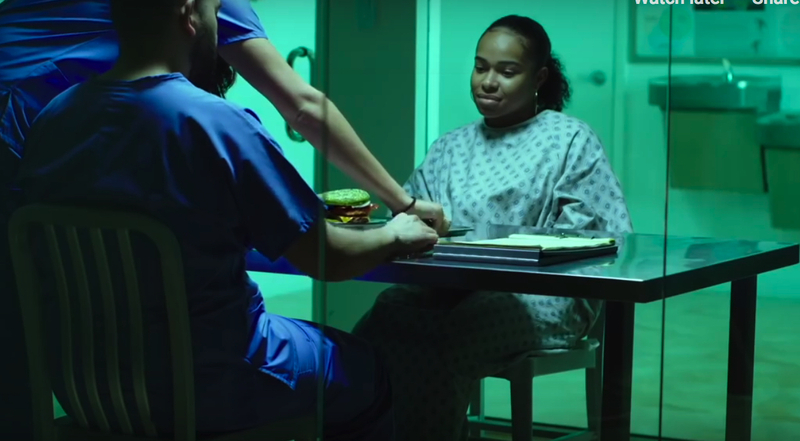 It's putting out a 2-minute ad showing actors submitting to a sleep study after devouring a seasonally-themed sandwich, then reporting the night-time horrors that resulted. "The burger in my dream transformed into the figure of a snake," one reports. Quite a risky campaign in the country where significant numbers of people think vaccines cause autism, that chemtrails are sterilizing us, that Jews have tails, etc.